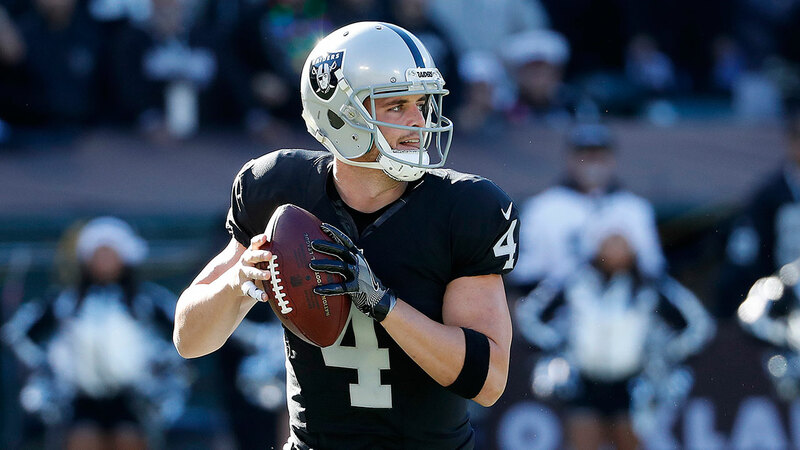 Quarterback Derek Carr tweeted Thursday that he has finalized an extension with the Oakland Raiders. Sources tell ESPN's Adam Schefter the five-year deal is worth $125 million. Carr, 26, isnow under contract through 2022. His extension's average salary of $25 million will make him the NFL's highest-paid player in terms of new money average, a source told ESPN's Dan Graziano. Indianapolis Coltsquarterback Andrew Luckcurrently tops the list at $24.6 million. Drew Brees' average annual salary is $24.25 million for New Orleans, andKirk Cousins' is $23.9 million for Washington. Cousins and the Redskins are trying to get a long-term deal done by the July 17 franchise deadline. Carr's deal could potentially be backloaded until the Raiders move to Las Vegas; there is no state tax in Nevada, whereas California's tax rate is 13.3 percent. Carr could save hundreds of thousands of dollars, if not millions. Raiders offensive coordinator Todd Downing was among the team's players and personnel to offer congratulations to Carr on Twitter. Carr passed for 3,937 yards and 28 touchdowns with just six interceptions last season, helping lead the Raiders to their first postseason appearance since 2002. He suffered a broken fibula in Week 16 and missed Oakland's playoff loss to the Houston Texans, but he has been a full participant in the team's offseason activities. Carr, speaking last week at the Raiders' minicamp, said he was happy to be "just playing ball again." "The hardest part was taking the first rep, because the last rep you remember was like, 'Oh snap, I broke this thing,'" Carr said. "But as soon as the ball was snapped, it was a blessing. It kind of all went away." ESPN's Paul Gutierrez contributed to this report.